Successfully Added COOWELL V11 Mini Android TV Box - Android 5.1, Quad-Core CPU, 4K Support, 3D Movie Support, WiFi, Google Play, Kodi TV to your Shopping Cart. 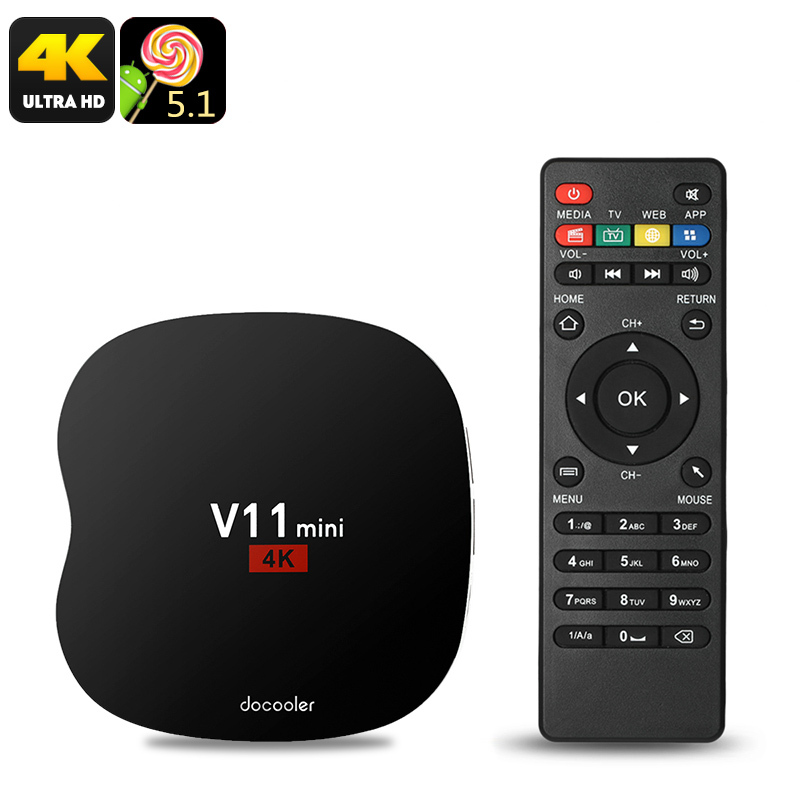 The COOWELL V11 Mini is an amazing Android TV box that supports 3D movie files. From now on, you’ll be able to enjoy a truly cinematic 3D movie experience from your own living room. Invite over your friends and throw the perfect movie night. With this Android TV box at your disposal, you can enjoy the latest movies to their absolute most. It furthermore supports 4K resolution. Thanks to this, you’ll be treated to Ultra-HD visuals at any time. Whether you use your 4K TV box for watching films or live sports games – it is sure to meet all your media demands. Besides playing films and series, this Android TV box also allows you to engage in basic Android games and Apps. This has been made possible thanks to its Android 5.1 operating system. With access to the Play Store and Kodi TV 16.0, you will be treated to millions of free to download media files. The 8GB of internal storage offers a sufficient amount of space to store your downloaded media. Additionally, you can throw in a 32GB SD card to be sure you’ll never run out of storage space. Thanks to its Quad-Core CPU at 1.5GHz, your TV box can handle all basic software features and games without ever slowing down your device. With its WiFi support, you will be able to browse the web from your big screen TV. This brings along great opportunities for playing online games or streaming movies. Additionally, you’ll be able to connect with friends through social media. Additional features such as Miracast will further increase your overall experience by letting you mirror all that happens on your phone’s display onto your TV. This feature truly lets you take the most out of both your smartphone and Android TV box. From now on, you’ll be able to entertain yourself and all your loved ones with hours of media fun and entertainment to come. With this 4K TV box in your living room, you’ll never have to experience a moment of boredom again.